Technology giant concludes keenly-contested blockbuster review by establishing an agency lineup that also features SKDKnickerbocker, Spectrum and Civic Entertainment Group. 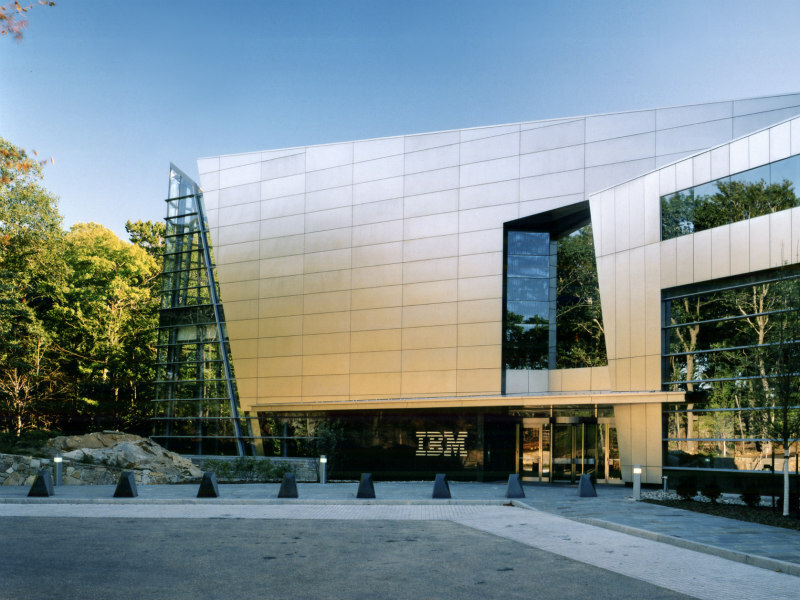 ARMONK, NY — IBM has concluded its blockbuster global PR review, the Holmes Report can reveal, naming Weber Shandwick to lead a new global PR lineup that will oversee an estimated $15m remit, as the iconic company aims to unleash a new era in its communications efforts. In addition to Weber Shandwick, three other agencies join IBM's new lineup. SKDKnickerbocker is named lead support agency, focusing on US strategy and stakeholders, while healthcare player Spectrum Science will work on Watson Health. Meanwhile, Ryan Seacrest's Civic Entertainment Group — with whom IBM CCO Ray Day worked at Ford — will focus on citizenship efforts. Weber Shandwick takes on global anchor duties for the “blended team” — made up of in-house and agency talent — that is charged with reviving the brand fortunes of the 106-year-old tech giant. Weber Shandwick will oversee all global stakeholder engagement, including IBM's content hub and news room, with EVP Renee Austin in charge of the assignment. The decision comes nearly two months after Day, IBM’s CCO since December, launched a competitive pitch for new agency partners, resulting in the company parting ways with its two lead agencies of 17 years — Text100, which opted out of the review, and Ketchum, which did not make the first-round cut. In total, said Day, 18 firms responded to the RFP, with nine selected for the presentation phase. Day was speaking to the Holmes Report at IBM's Armonk campus this morning, flanked by agency leaders from the four selected firms. "We just wanted to take a fresh start," said Day. "Our goal overall, in-house and with our agency partners, is to build world class communications through a world class team. We took it very seriously. We made it very clear what we were looking for." "When we talk about blended team, the agency partners and IBM team, Ray's vision for how that could work is really compelling, and we've already seen the power of that model," added Weber Shandwick CEO Andy Polansky. "It's counterintuitive for folks from the agency perspective who think they can do it all. This model is really compelling, and you can accomplish a lot." Day noted that only "small projects" would exist outside the new blended team. "It's integration between the in-house team and agency partners," he explained. Ketchum and Text100 had worked on the business since 2001, when IBM consolidated its network of more than 50 agencies under then-communications chief Jon Iwata, who retired last year after 34 years with the company. IBM currently works with 20 firms across the world, although that number will decline drastically following Day's review. Day pointed out that IBM has three key objectives for its communications. The first is to build the company's reputation among all audiences. The second, he said, is "working hand-in-hand with marketing to build a brand." Thirdly, Day added, is to "constantly build and change your expertise" in order to address the first two goals. "Ray has a huge amount of enthusiasm and ambition for telling the IBM story and there is a lot to tell," added SKDK MD Hilary Rosen. The 'blended team' mimics Day's approach at Ford, where he helped oversee the multi-agency Ford team deployed by WPP. Day's moves have garnered widespread attention throughout the industry, as they represent a significant overhaul of the measured, incremental approach that characterized IBM's communications under Iwata, an industry legend. The review itself, however, was not a surprise, given the challenges facing IBM. Like others of its vintage, IBM’s struggles are largely rooted in its efforts to gain a foothold as a 21st century computing company while losing revenue from older, core sectors of the business. The company reported 22 consecutive quarters of y-o-y revenue declines, until an uptick in Q4 2017 broke the losing streak.